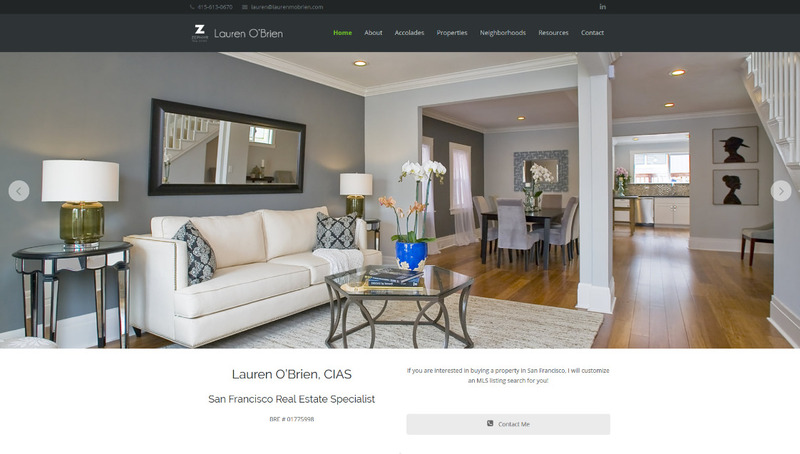 Lauren O’Brien has been a successful real estate agent in the San Francisco Bay Area for over 10 years. She is an expert in handling property sales, from single family homes to condominiums and residential investment properties. Lauren requested that we redesign her website to be more modern looking as well as mobile-friendly. She wanted to have the option of managing her property listings on the website and connecting to her MLS listings account.